Filed to: U.S.S.R.Filed to: U.S.S.R.
Lucky. Some of these are pre-U.S.S.R. Vintage Russia. Moscow, 1917. Library of Congress. 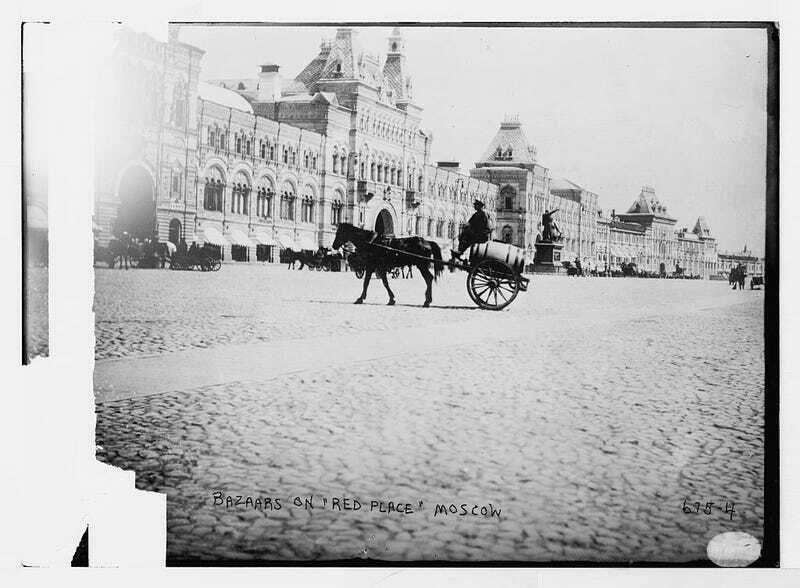 View of "Red Place", Moscow, U.S.S.R.
1 photographic print. | Busy street scene in foregrd. Novodi︠e︡vichiĭ monastyrʹ, S.-Peterburgʹ Nouveau couvent pour femmes, St. Pétersbourg. 4 photographic prints on 1 p. : gelatin silver. S. Peterburgʺ. Zimnīĭ dvoret︠s︡ʺ. Zalʺ St.-Pétersbourg. Palais d&apos;Hiver salle. St. Petersbourg. Le pont & le palais Anitschkow S.-Peterburgʺ. Anichkovskīĭ mostʺ i ploshchadʹ. U.S.S.R. Moscow, Red Square / TOH. 2 photographic prints on 1 p. : gelatin silver.